When it comes to Adobe Acrobat software, Dan Siegel and Pam Myers wrote the book, The Ultimate Guide to Adobe Acrobat DC, the acclaimed reference guide that shows users how to use Acrobat’s numerous features. In addition, Dan Siegel and Pam Myers have lectured countless times about how lawyers and their staff can use Adobe Acrobat software to go “less-paper” and become more efficient. ITS offers dedicated training for the Adobe Acrobat line of products, and resells them. For lawyers and legal support professionals, the PDF format is the preferred way to acquire, analyze, store, retrieve, and share information because it can be processed more efficiently than paper-based information. In fact, PDFs have become the standard for storing and exchanging digital documents in the legal community. Most federal courts require electronic filings to be in PDF format; in addition, the LexisNexis File & Serve system has been adopted in many states, which now or use PDF as their file standard. 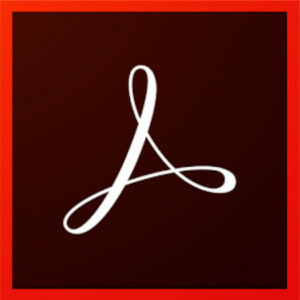 As a result, attorneys and their staffs benefit greatly by using Adobe Acrobat and PDF files in their practices. Essentially, Adobe Acrobat allows legal professionals to work with digital documents in much the same way that they work with paper documents. Putting pages in, taking pages out, copying pages or whole documents, and adding notes are all tasks you can do in Acrobat, and you can do so more efficiently, more effectively, and with greater mobility than with paper information. Integrated Technology Services is an authorized reseller of Adobe products, and can assist your office in customizing Adobe and training your staff to meet your needs. For more information, call (610) 446-3467 or click here to contact us.